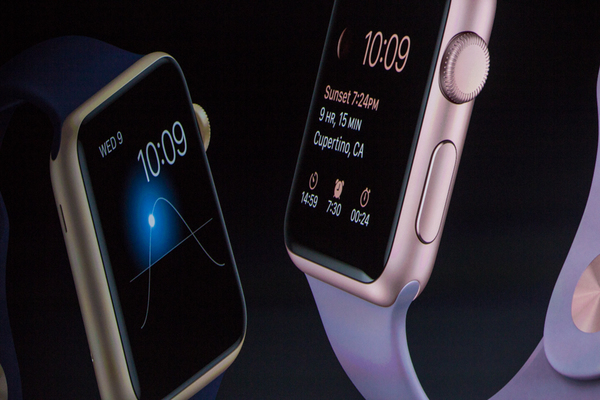 Apple sure knows how to make these watches look pretty. showing different colors. Looks like a rose gold aluminum. "We're really excited to offer new new finishes. Gold and rose gold in anodized aluminum. Will come in 38mm and 42mm"
"Available at the same price as the rest of the sport lineup"
"This adds a whole new dimension to the lineup." Space Black stainless has a black sport band option, and new leather bands. "Space black stainless. Adding a model with black sport band. Also updated leather." 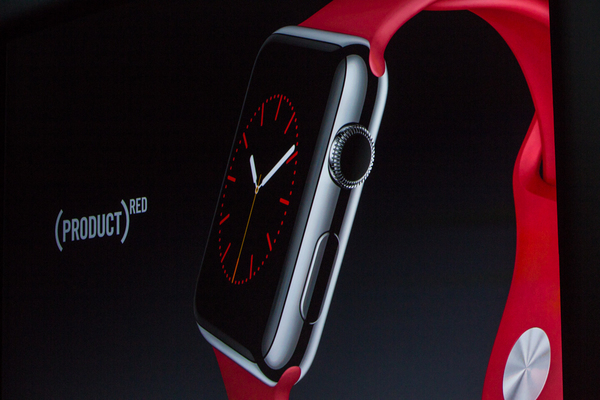 "Also stainless steel case with a Product RED band. Portion of sales go to fund to fight AIDS." 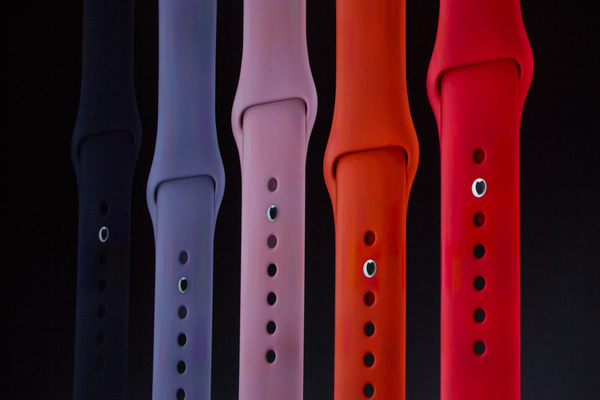 Product Red steel Apple Watch and sport band (red), too. "We're adding a fall collection of new bands ranging from vibrant hues to more neutral tones." "You end up with some truly unique combinations." 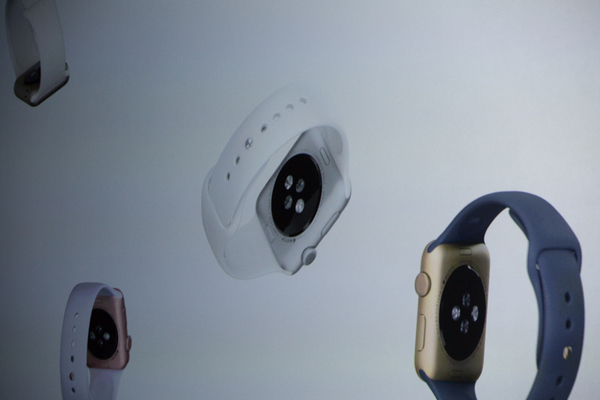 "That's our Apple Watch lineup. As we look forward to the holiday season we're really really excited with new models, new OS with native apps. We think it's going to be a fantastic holiday gift." 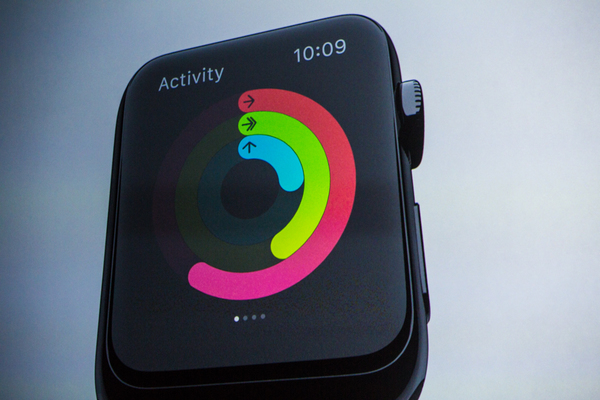 Lots more colors for sport bands: subtle hues, far less screaming color. Makes sense, since those bands are affordable and actually feel good to wear. "The new models you saw are shipping to day. 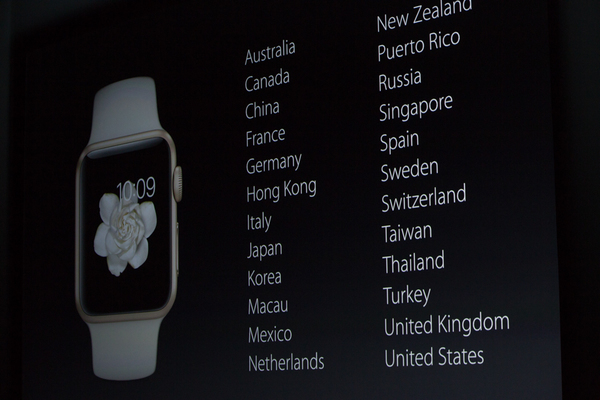 Watch OS 2 is available September 16." 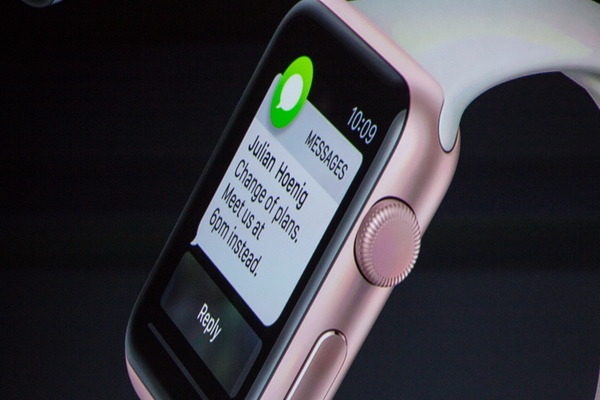 WatchOS 2: Sept 16. Next week. Makes sense. "It is amazing what kind of power you now have on your wrist. And we've got some great new looks." iPad is indeed being discussed. OKAY, here we go. "Clearest expression of our vision of the future of personal computing." "iPad is the clearest expression of our vision of the future of personal computing. A simple multitouch piece of glass that instantly transforms into anything you want it to be." 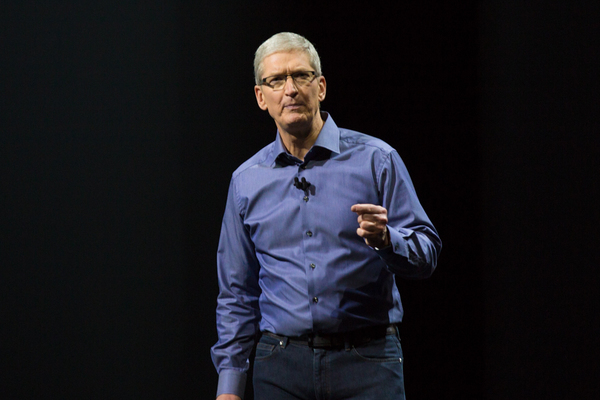 "In just 5 years, iPad has transformed the way we create, the way we learn and the way we work." "We're partnering with IBM and Cisco to redefine how people work in the enterprise." 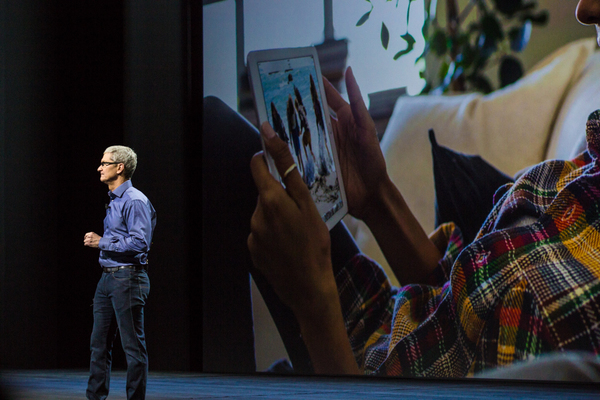 "We've been amazed at the new and unexpected things our customers have done with the iPad." "We asked ourselves, how can we take iPad even further? 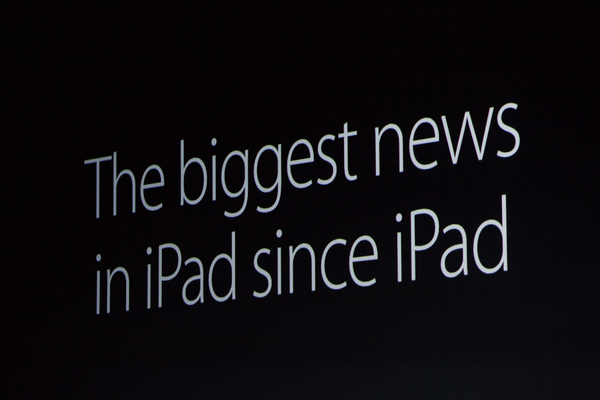 Today, we have the biggest news in iPad since hte iPad." "And I am thrilled to show it to you."